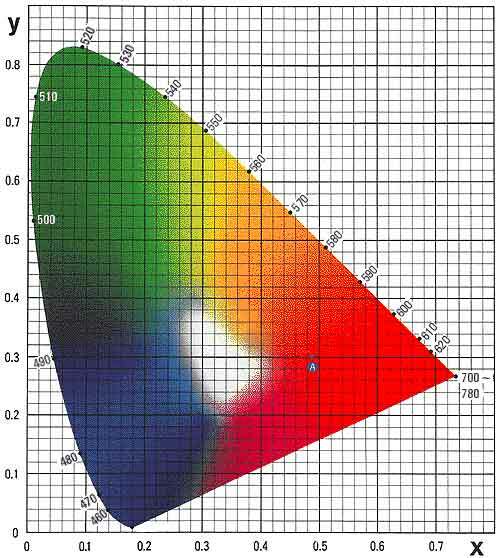 The CIE Chromacity Diagram (below) shows the colors that are visible to a person with normal color vision. When discussing the color of an LED, the wavelength (as seen on the edges of the "shark fin" below) of the light emitted is normally referenced for colors in the rainbow. Certain special LED colors (such as White or Pink) cannot be defined by a wavelength so they are specified with a chromacity coordinate.